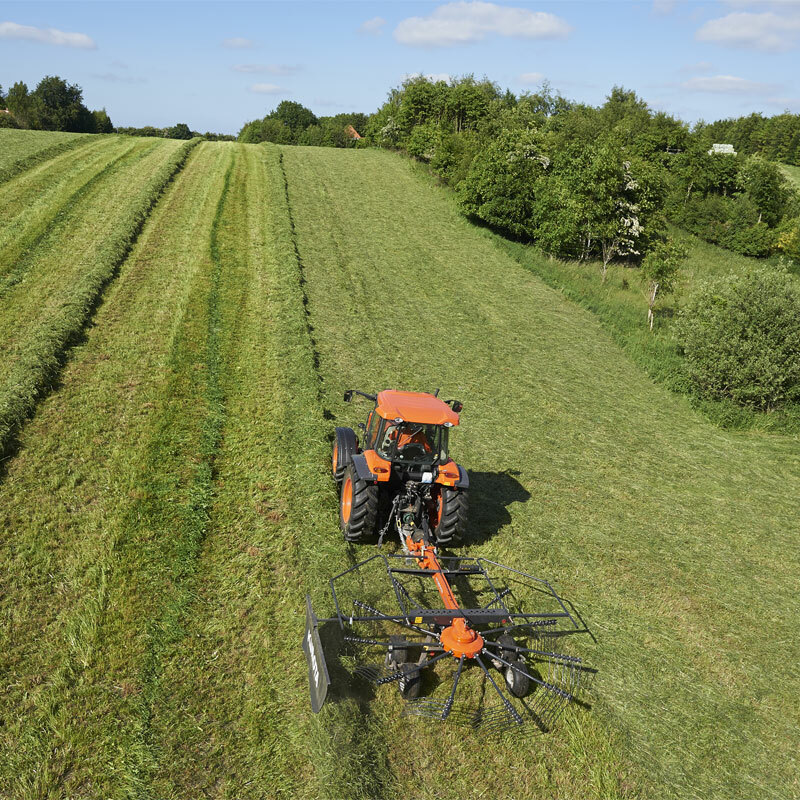 CompactLine single rotor rakes with considerable working width and a maintenance-friendly system. 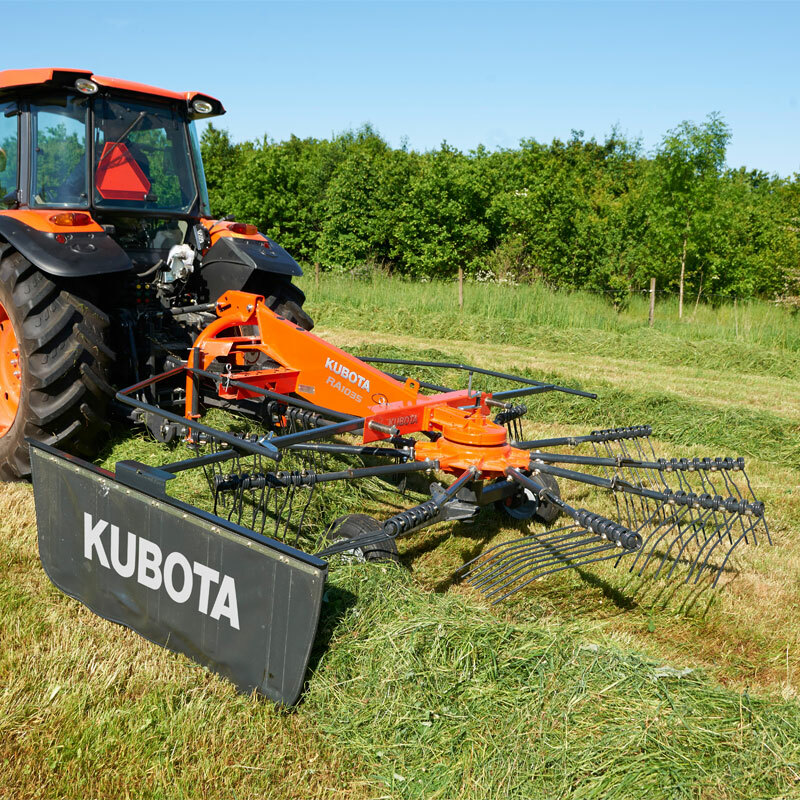 Kubota offers several compact single rotor rakes, designed for use on low horsepower tractors, but which still deliver considerable working width. 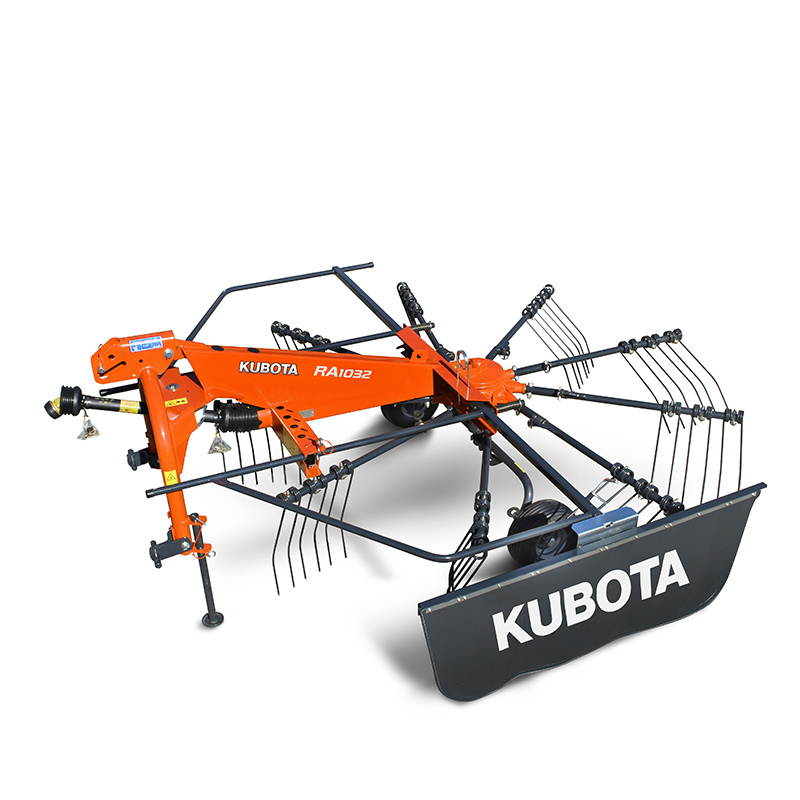 Kubota single rotor rakes offer working widths of 3.2-4.7m. With the option of pivoting, fixed three-point linkage mounting and a trailed version, there is a model to suit all needs. 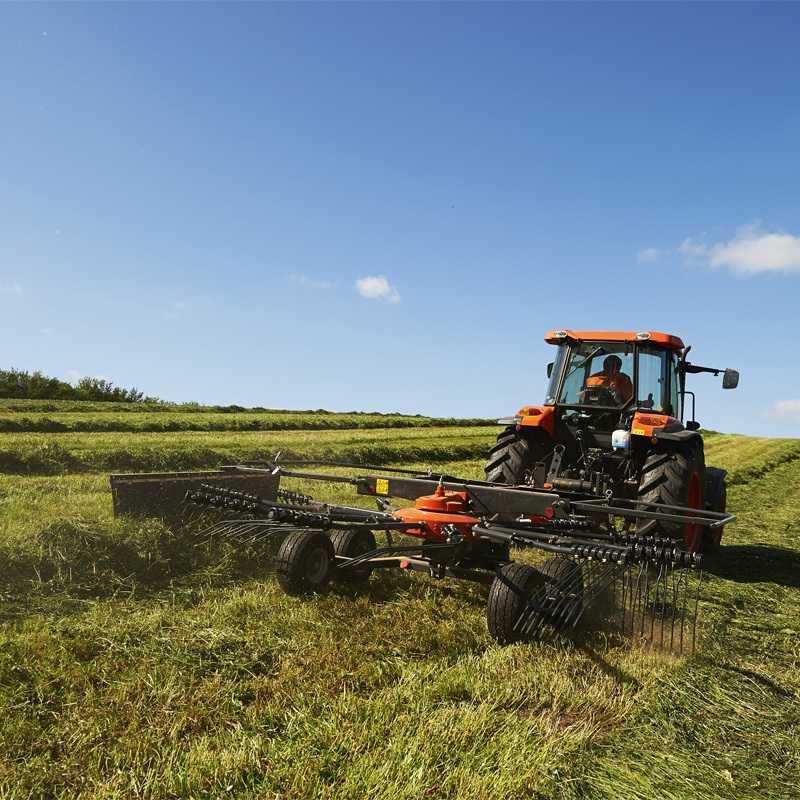 All rakes (except RA1032) have mechanical height adjustment via a crank, with the possibility of adjusting to the individual field conditions. 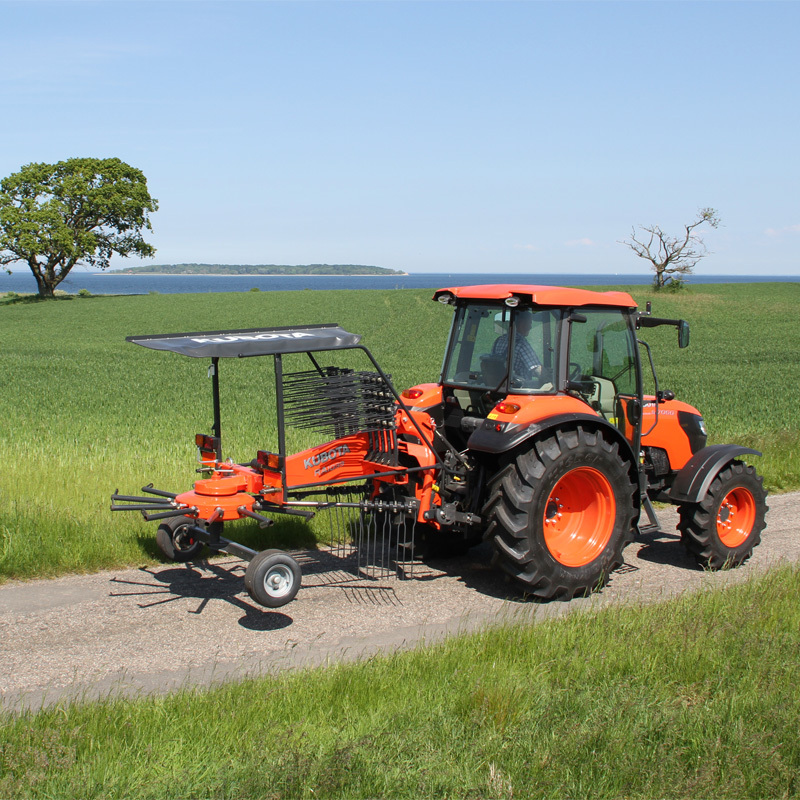 Compact and light design that can be operated by smaller tractors. CompactLine gearbox with cam discs and tine arm bearing running permanently in oil. Curved tine arms for cleaner raking performance and better swath formation. High number of options are available, such as tandem axles, oscillation dampers and a third Wheel.